​Attention Boston brewers: the Boston Public Market is looking for a New England-based brewer to take over a new taproom that's coming into their space. 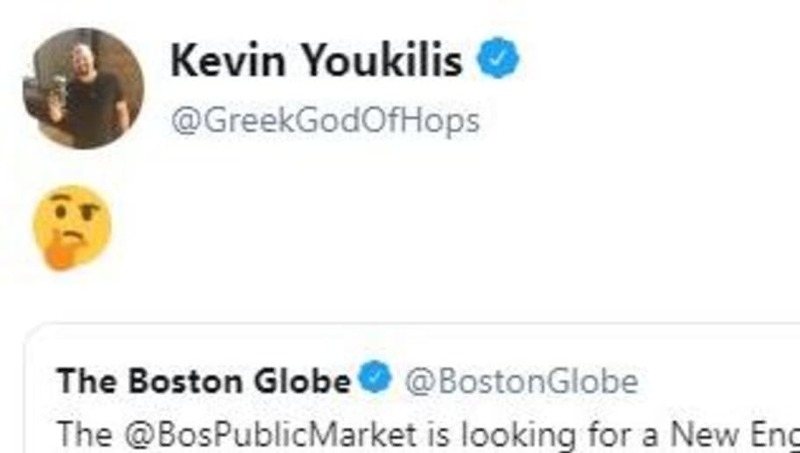 ​​If you are interested, you'd better hurry, because former ​Boston Red Sox fan favorite ​Kevin Youkilis might be interested. And odds are, Youk taking the slot is a better idea than whatever you were envisioning. Youkilis decided to retire back in October of 2014 after finishing his career in Japan, and in his post-playing days, the Greek God of Walks and his brother purchased the Los Gatos Brewing Company out in California. They re-named it the Loma Brewing Company, and it was named the 2017 California Commercial Beer Brewery of the Year just a few short years later. Obviously, Youk knows what he's doing, and wouldn't be awesome if he migrated back to Boston with a branch of his brewery? If you take his emoji seriously, he's thinking about it.